All steels contain some nitrogen which is effective in improving the mechanical and corrosion properties of steels if it remains in solid solution or precipitates as very fine and coherent nitrides. When nitrogen is added to austenitic steels it can simultaneously improve fatigue life, strength, work hardening rate, wear and localized corrosion resistance. High nitrogen martensitic stainless steels show improved resistance to localized corrosion (pitting, crevice and intergranular corrosion) over their carbon containing counterparts. 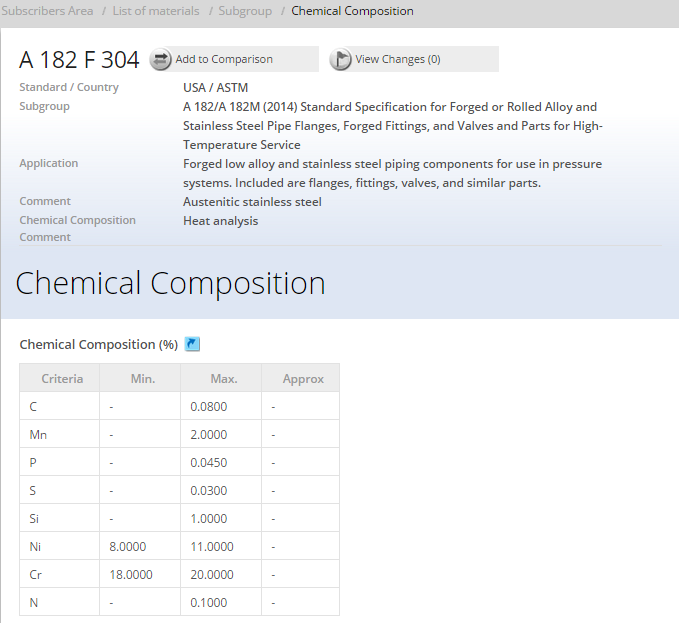 Because of this, the high nitrogen steels are being considered a new promising class of engineering materials. Numerous sources of nitrogen exist during the melting, the ladle processing and the casting operations. Sources of nitrogen in oxygen steelmaking include the hot metal, the scrap, the impurity nitrogen in oxygen and the nitrogen used as a stirring gas. Nitrogen pickup from the atmosphere can occur during reblows in which case the furnace fills up with air, which is then entrained into the metal when the oxygen blow restarts. Also during the tapping of steel, air bubbles are entrained into the steel where the tap stream enters the bath in the ladle. 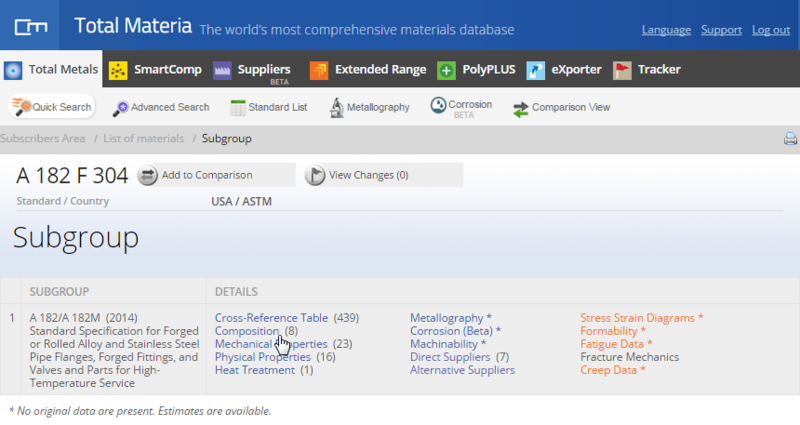 Other sources may include atmosphere (through ladle slag), coke (carburizers) and various ferro-alloys. Ladle additions often contain moisture. 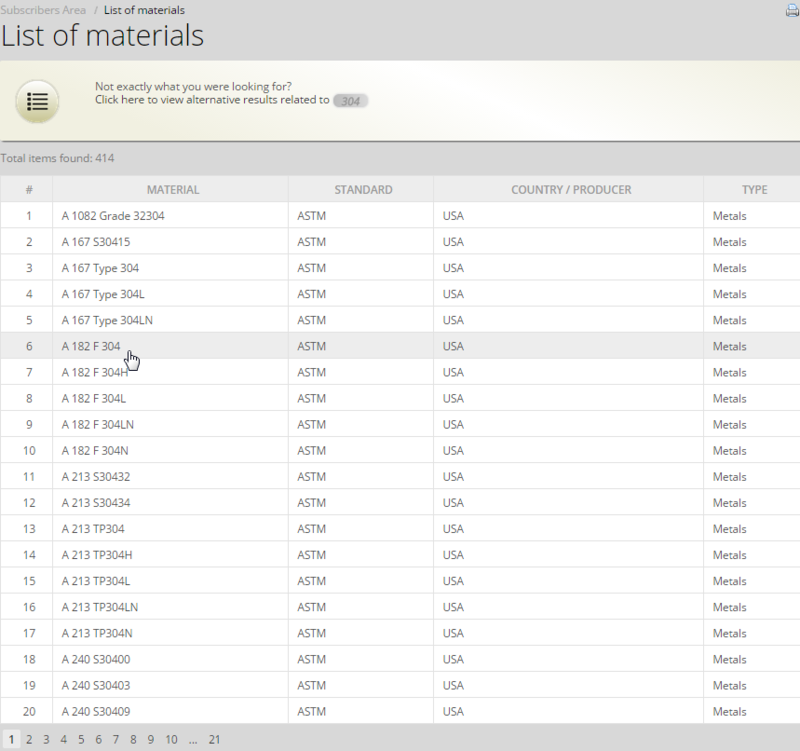 The otherwise, to get an impression of the sources of nitrogen during the melting process, Table 1 shows the amount of nitrogen present in each of the feed materials typically used in the EAF. While steel is liquid the nitrogen present exists in the solution. However, solidification of steel may result in three nitrogen-related phenomena: formation of blowholes; precipitation of one or more nitride compounds; and/or the solidification of nitrogen in interstitial solid solution. 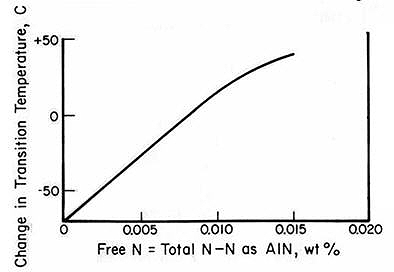 The maximum solubility of nitrogen in liquid iron is approximately 450 ppm, and less than 10 ppm at ambient temperature, as shown in Figure 1. The presence of significant quantities of other elements in liquid iron affects the solubility of nitrogen. More importantly, the presence of dissolved sulfur and oxygen limit the absorption of nitrogen because they are surface-active elements. This is exploited during steelmaking to avoid excessive nitrogen pickup, particularly during tapping. 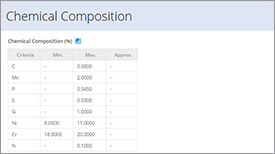 The effect of nitrogen on steel properties can be either detrimental or beneficial, depending on the other alloying elements present, the form and quantity of nitrogen present, and the required behavior of the particular steel product. In general, however, most steel products require that nitrogen be kept to a minimum. High nitrogen content may result in inconsistent mechanical properties in hot-rolled products, embrittlement of the heat affected zone (HAZ) of welded steels, and poor cold formability. In particular, nitrogen can result in strain ageing and reduced ductility of cold-rolled and annealed LCAK steels. Figure 2 shows that the strength of LCAK steels decreases slightly and then increases with increasing nitrogen. Conversely, the elongation decreases and the r-value increases with increasing nitrogen. The r-value is the average ratio of the width to thickness strain of strip tensile specimens tested in various orientations. It is an inverse measure of formability. Hence, high nitrogen content leads to poor formability of LCAK steels, even after annealing. Hardness is the resistance of a material to surface indentation. The Figure 3 shows that hardness increases linearly with increasing nitrogen content. Nitrogen absorbed during steelmaking results in interstitial solid solution strengthening and grain refinement, both of which increase hardness. 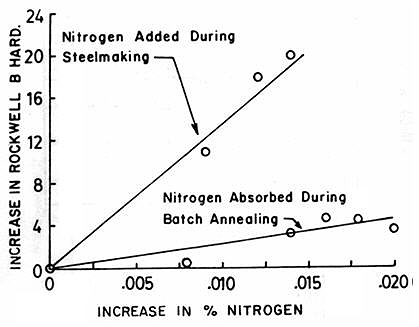 Further, the diagram shows that nitrogen absorbed during the steelmaking process has a more significant impact than that absorbed during batch annealing in a nitrogen-rich atmosphere, although both have a measurable effect. Strain ageing occurs in steels containing interstitial atoms, predominantly nitrogen, after they have been plastically deformed. After deformation, the nitrogen segregates to dislocations causing discontinuous yielding when further deformed. Not only does strain ageing result in increased hardness and strength, and reduced ductility and toughness, but it may also result in the appearance of 'fluting' or 'stretcher strains' on the surface of deformed material. Duckworth and Baird have developed a measure of strain ageing termed 'strain ageing index'. This is based on an empirical equation to calculate the increase in yield stress when deformed material is held for 10 days at room temperature. 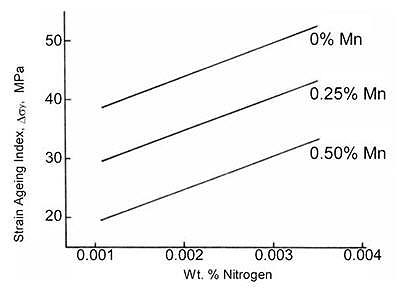 Figure 4 shows that increasing nitrogen results in a higher stain-ageing index, and therefore greater propensity for surface defects. The ability of a material to withstand impact loading is commonly known as toughness. It is sometimes quantified by measuring the amount of energy that is absorbed by a test piece of known dimensions prior to fracture. 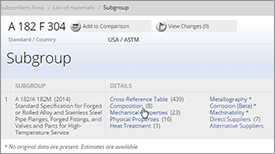 It is further analyzed by determining the fracture mechanism upon impact over a range of temperatures. As temperature is decreased, the fracture type will change from fibrous/ductile to crystalline/brittle. This arbitrary temperature is termed the 'ductile-to-brittle' transition temperature. The lower the transition temperature the better the impact properties, since failure via ductile fracture may be less catastrophic than that via brittle failure. 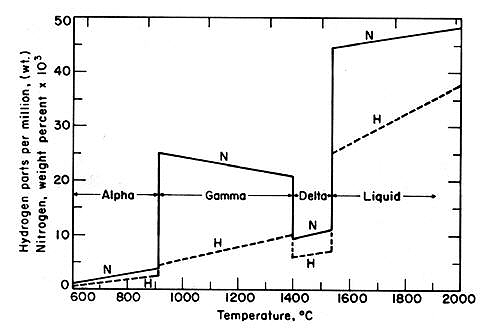 Figure 5 demonstrates that as free nitrogen increases, the transition temperature increases, and therefore toughness decreases. This is attributed to solid solution strengthening. Conversely, limited amounts of nitrogen present as precipitates have a beneficial effect on impact properties. Nitrides of aluminum, vanadium, niobium and titanium result in the formation of fine-grained ferrite. Further, the smaller the grain size the lower the transition temperature, hence improved toughness. Therefore, it is necessary to carefully control, not only the nitrogen content, but also the form in which it exists, in order to optimize impact properties. Nitrogen is known to affect the toughness of the heat-affected zone (HAZ) of welded steel. This is important, since the weld metal should not be a point of weakness in a welded structure. This loss in toughness is often referred to as HAZ embrittlement. It is thought this occurs when the nitrides present in the HAZ are dissociated as a result of the elevated temperatures that exist during welding. The absence of precipitates results in grains of larger diameter. 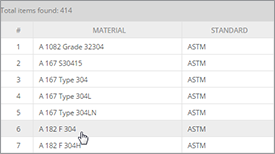 Also, the metal cools quickly producing low toughness martensite or bainite, which contain high levels of free nitrogen further exacerbating the loss of toughness. Using lower heat input and several passes to prevent dissociation of the nitrides may prevent this.